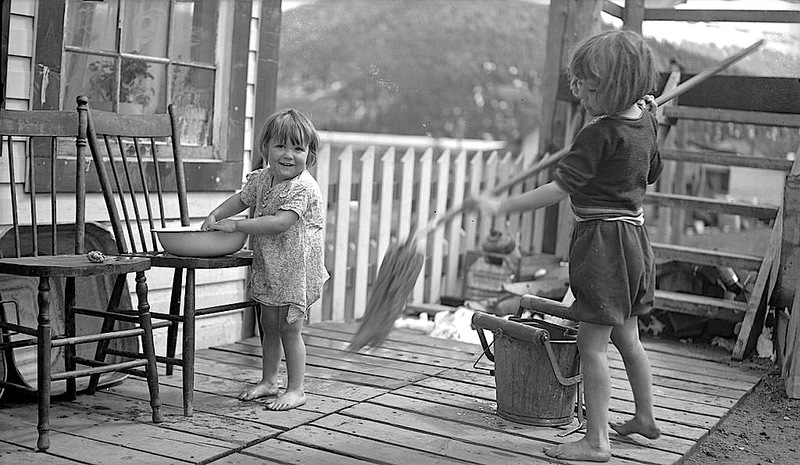 Mary and Sandy Lee (daughters of the photographer) cleaning the porch, Mountain Park, Alberta, 1935, by Charles Lee, via Provincial Archives of Alberta Commons on flickr. Cleaning should probably be in quotation marks. I think their mom was in the house having some quiet time. 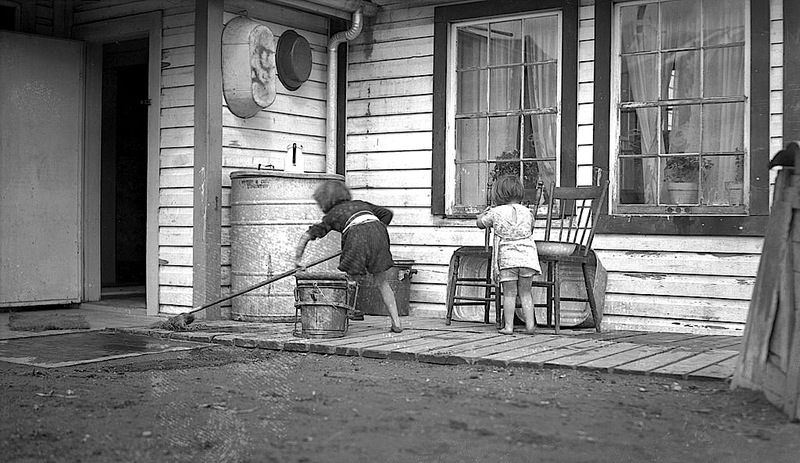 The girls’ father, Charles Lee, emigrated from England to Mountain Park, Alberta, in 1919. There, he worked for the coal mine as a delivery person, steam engineer, and watchman. He also became a photographer and created postcards of Mountain Park. The mine closed in 1950, and the Lee family moved on. Mountain Park is now a ghost town.